A stacked lineup of eight of last year’s World Championship finalists will be on display Friday evening at the DCI Central Indiana event in Muncie, Indiana. 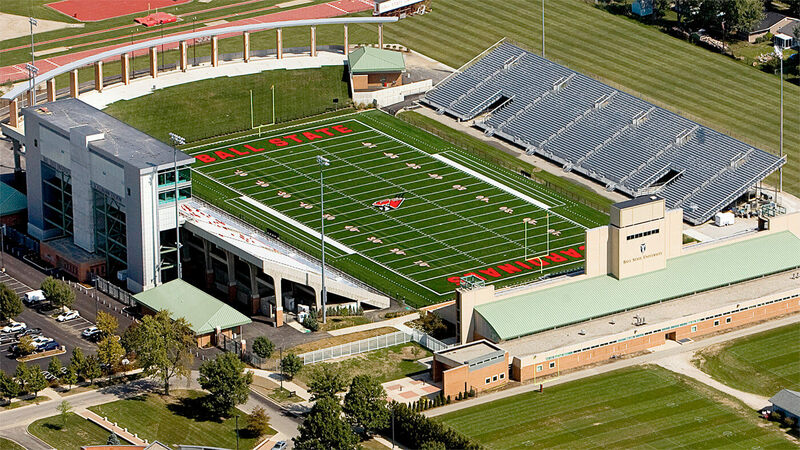 The competition will be held at Scheumann Stadium on the campus of Ball State University and will be webcast live on the DCI Live! streaming video platform. The broadcast will begin at 6:30 p.m. ET, with the first corps stepping off at 7 p.m.
• The educational Music for All Summer Symposium is being held at Ball State University this week, and attending marching band students will have the opportunity march alongside members of Carolina Crown in a special encore performance. • Fans who have been unable to attend a live show this summer will be able to get one of their first looks at the Crossmen and Boston Crusaders. The Crossmen defeated the Crusaders for the first time since 2003 last week, and both corps look to be fighting for a placement in the coveted Top-12 when the DCI World Championships return to Indianapolis this August. • The Crossmen left Evansville, Indiana on Wednesday night with a score of 67.100, which is identical to the score the Madison Scouts posted in Pittsburgh the same night. In Pittsburgh, the Scouts fell behind the Blue Stars for the first time this summer. The two Wisconsin corps have been neck-and-neck throughout the month of June, so viewers will get to see if the Scouts pull back ahead of Blue Stars, or if the Blue Stars widen their lead. • At the head of the competition, the Cadets and Bluecoats meet up again for the first time since Sunday night. The Bluecoats beat the Cadets once (last Saturday in Akron), but the Cadets posted the season’s highest score, 77.200, Wednesday in Evansville. Carolina Crown, who has not competed since Monday, may also look to surge to the top. Will the Cadets post their sixth victory in seven events? Or will another corps break up their new winning streak? Watch online or in person Friday evening from Ball State University to find out.